Welcome to the first instalment of Shooting the Surf, an ongoing conversation with our favourite female ocean photographers. 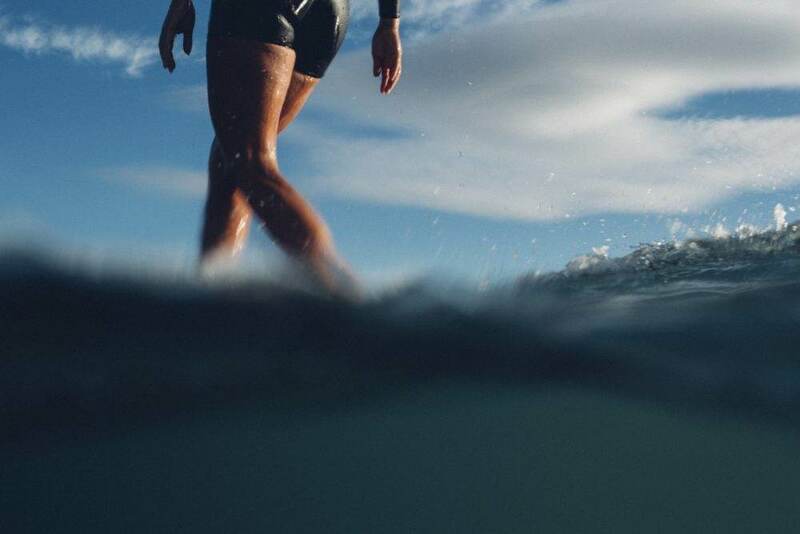 Amber Jones is the first legend that we’re going to feature in our Shooting The Surf Series where we will feature our favourite female surf and ocean-dwelling photographers from all over the globe. From New Zealand to Sweden, Tofino and everywhere in between. 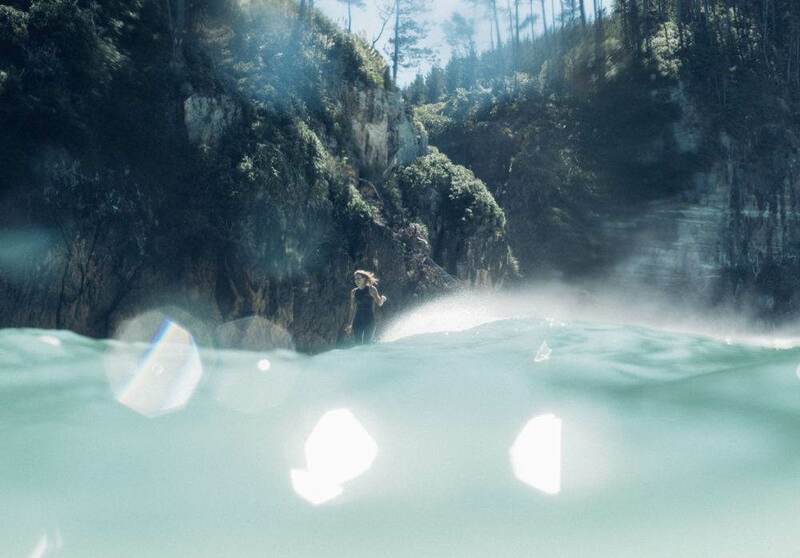 Each one of these hard-working frothy photographers will share their thoughts on how they ended up in the water and their process, passions and favourite projects. Amber lives on a little slice of paradise on the east coast of the Aotearoa. Paradise Coast is made up from three small towns in the enchantingly idyllic Coromandel Peninsula, yes, it’s actually called Paradise Coast, and unsurprisingly, it hugs the coast of New Zealand’s North Island. Amber’s friends live in the waters lapping at the shores along Paradise coast. I’m sure some of them live on the land as well, but for this interview, I’ve decided that Amber is referring to her finned friends of the sea, the sharks. 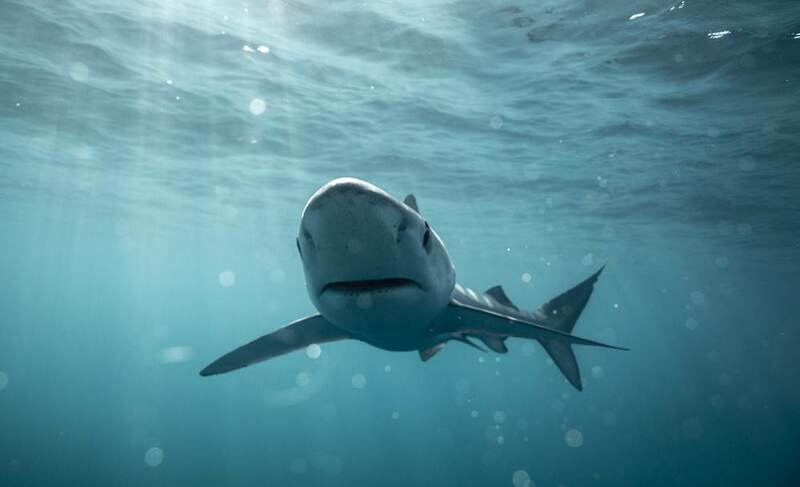 For me, the images of sharks in Amber’s work immediately drew me to look a little deeper into her photographs and I wanted to learn a little more. We chatted over email for the last few weeks and immediately Amber beamed enthusiasm with an obvious love for her work and earnest compassion for the lands and natural inhabitants of her workspace. 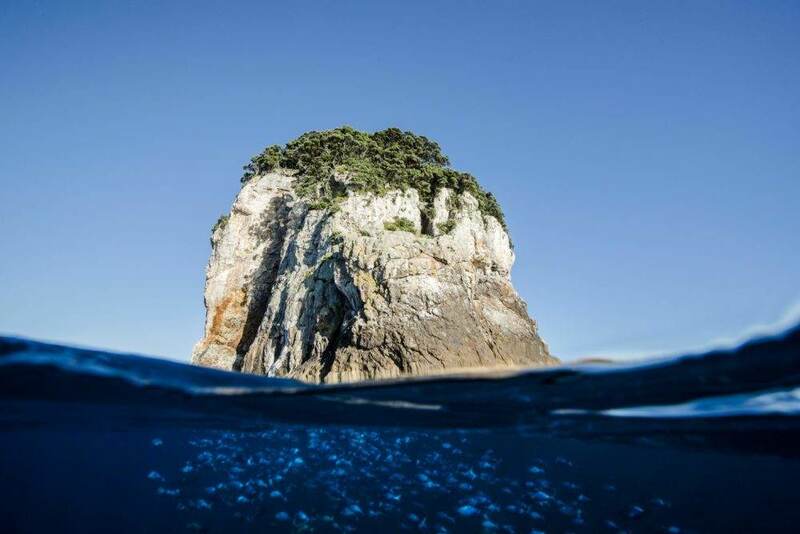 It’s always inspiring to hear from those who are getting out there every day, learning and educating themselves about Earth’s oceans in return for making a living in the water. Gobe: Kia Ora, thanks for your time Amber :) How are you? Where are you answering these questions from and what are your plans for the day? Amber Jones: Firstly, legend for greeting me with Kia Ora!! It’s so nice! I’m currently frothing out on this crisp, sunny day, sitting on my new deck & listening on a new tune that came up on my Spotify called ‘Surf’ by Common Tiger. Also staring straight out to sea — which could explain all the good vibes going on. What gets you up in the morning and what is the first thing you do? My dog! Literally, he’s got Samoyed in him so he talks and talks from about 6.30am until I poke my head down the loft ladder and put my runners on. I love it though, and wouldn’t have it any other way. When did you start making photographs, was there an initial reason or inspiration? I just got this sports camera thingy back in the day for my first snow season and carried it EVERYWHERE. I became obsessed with sitting in the most obscure places trying to capture riders doing their thing, then once the snow melted I’d take it in the water and it just became another limb. Then a friend was selling a DSLR so I got my mitts on it and started the whole learning curve from there. You grew up in the water, and surrounded by surfing, do you remember when you wanted to start making photographs in the water? It actually was while I was living in Aussie and this local guy (Luke Shadbolt) was doing all these amazing things with surf photography so I made him sit down with me over a coffee and picked his brain on how to get there. I also showed him some horrific pictures I had taken and the look on his face said everything I needed to know… I had a loooong road ahead of me ha ha. My super competitive gene took over and I decided to make it my mission to be known for my water photography one day because once the reality hit that I’d never (not even close, not even one iota) become a pro surfer, this felt like the next best thing to set my soul on fire and to hopefully be paid to be in saltwater every day. I still have a fair way to go but I definitely feel like I’m laying some solid groundwork toward my personal legend. 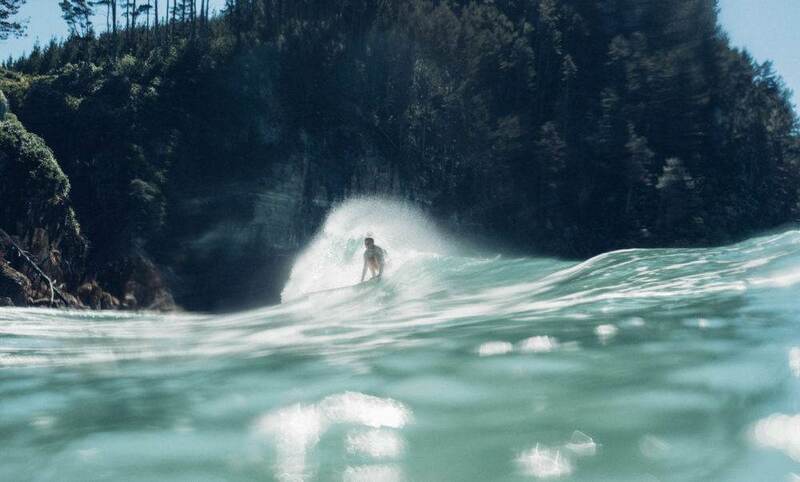 I read you’re working on all female surf film in New Zealand, that’s freaking amazing, what can you tell us about that? Aw thanks so much! 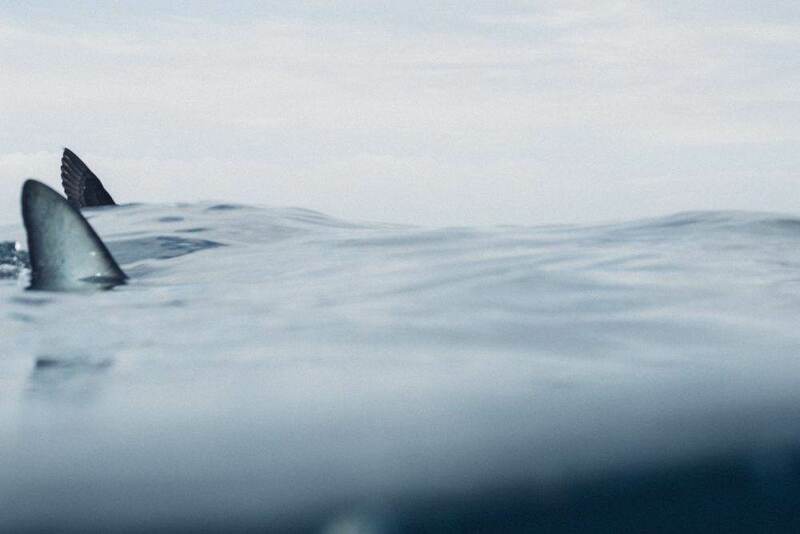 It’s been a written piece that was sitting on my hard drive for the past three years now and it stems from growing up in a surf culture that is completely different to what the surf media was feeding to us. i.e a tanned, toned g-string-clad chick shredder in the tropics. 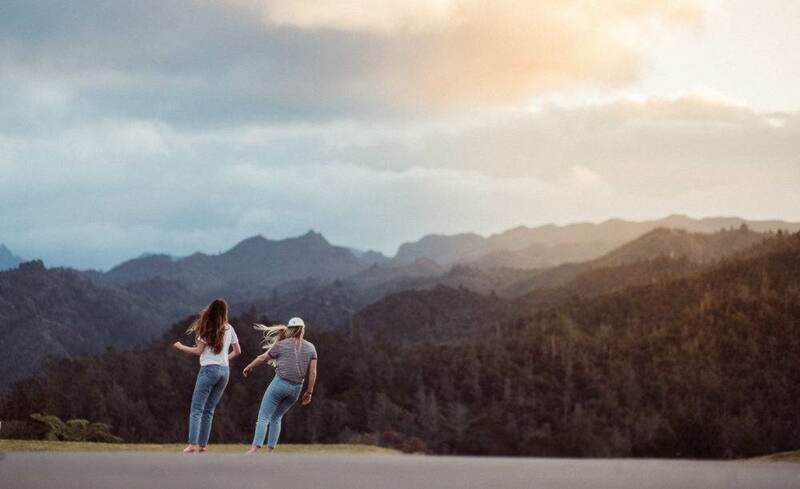 For us NZ wahine, she couldn’t be further from our reality and it was really disheartening to never feel like you belong to your hobby, when you really love doing it. 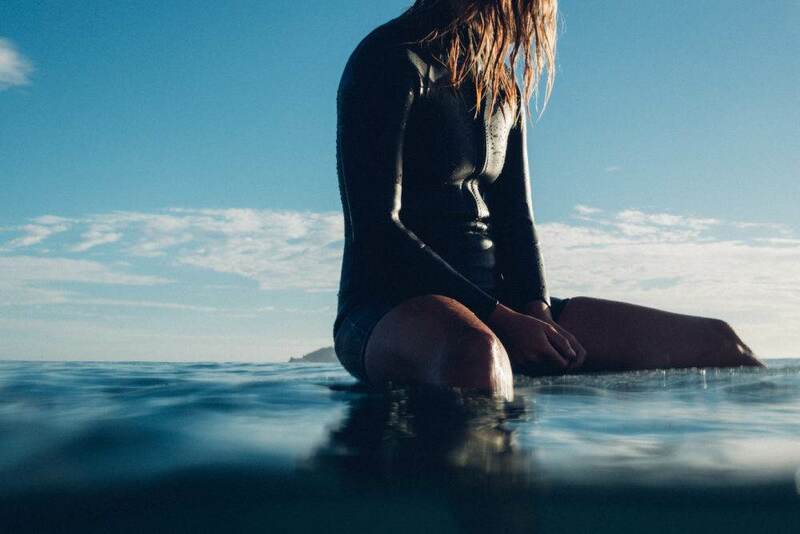 And once I learned my way around a camera, it became my mission to one day show an authentic piece of women’s surf culture in NZ, and what it means to us. During my stint in Auckland, I shared the water with a bunch of incredible waterwomen who didn’t know it at the time but were to make up the cast in this special film. Years later, I had the opportunity to meet up with an American film director wanting to diversify his showreel into surfing and didn’t know anyone here. A friend of a friend put us in touch and I told him about this pipe dream of mine and he was so into it I couldn’t help but froth that he was frothing and so, Hinemoana was suddenly in production. 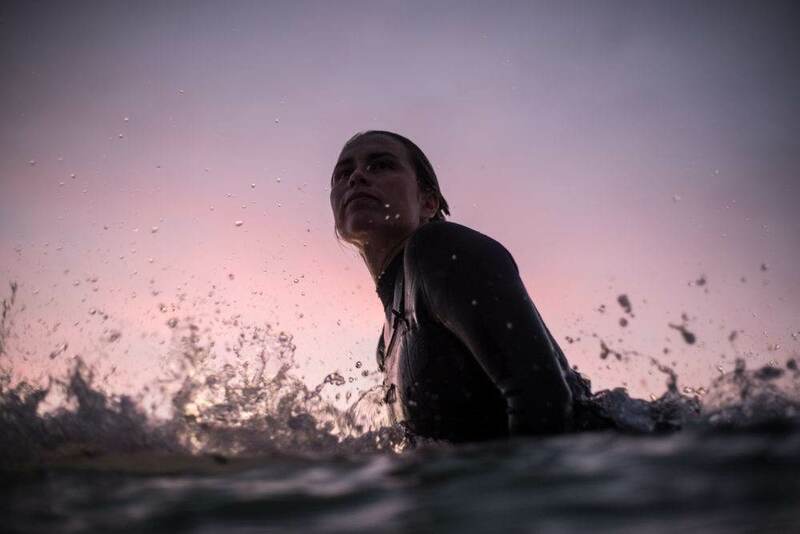 With only a week to shoot, 10 women to line up from all parts of the country, volatile NZ weather and surf conditions and little budget we were in for a wild ride. Lucky for us the weather & surf gods came to the party and sent us epic waves on both coasts and it was only the last day where it was too flat to surf so we were incredibly lucky. I still can’t believe it really happened, it was like the all-female surf camp I had always dreamed of — right in our backyard (literally, the girls were camping on my lawn haha). I’ll treasure that week forever. 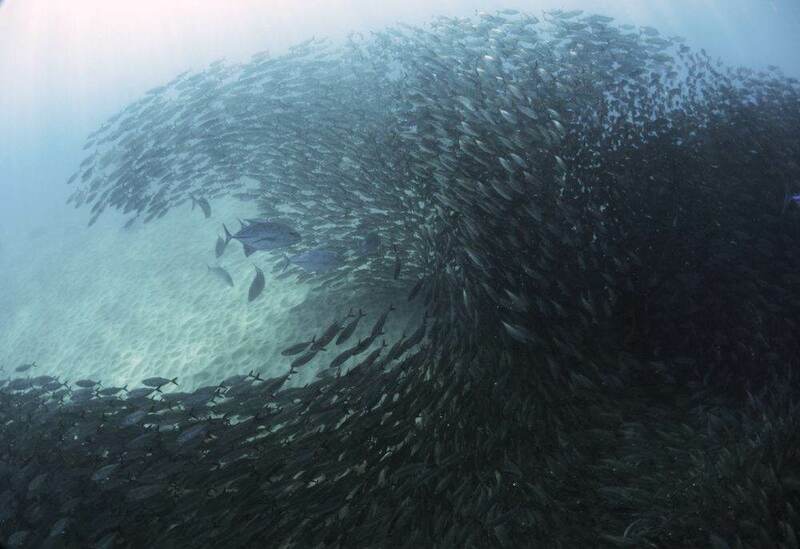 You also have an affinity with the finned friends in the line-up. 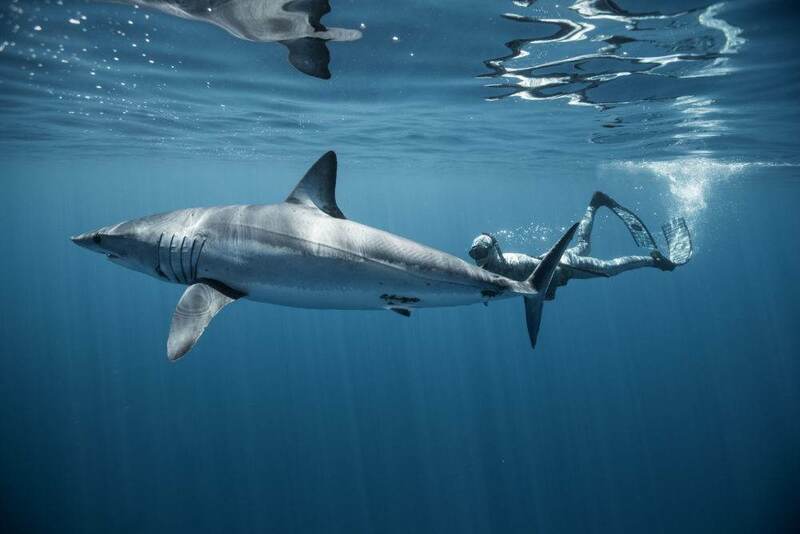 How did you get into shooting with sharks and how has overcoming the fear associated with these beaut animals affected your work? The shark aspect of my work is a complete happy accident. 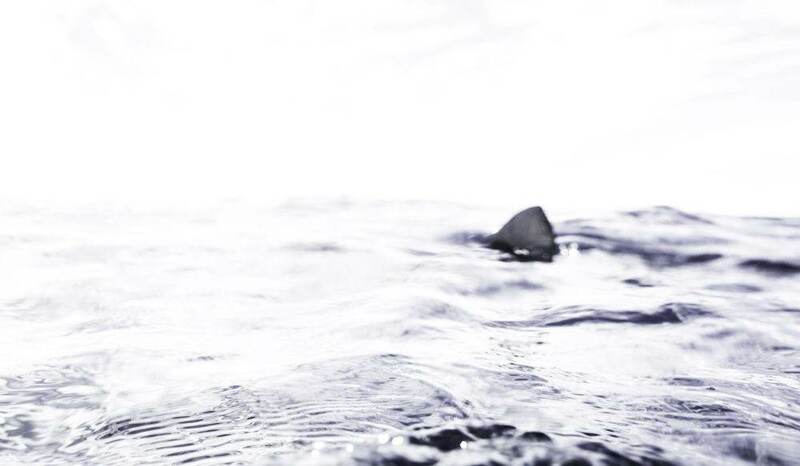 I fell in love with a surfer who happened to be a shark biologist and so, naturally he introduced me to this fascinating world, and of course, I took my camera along. 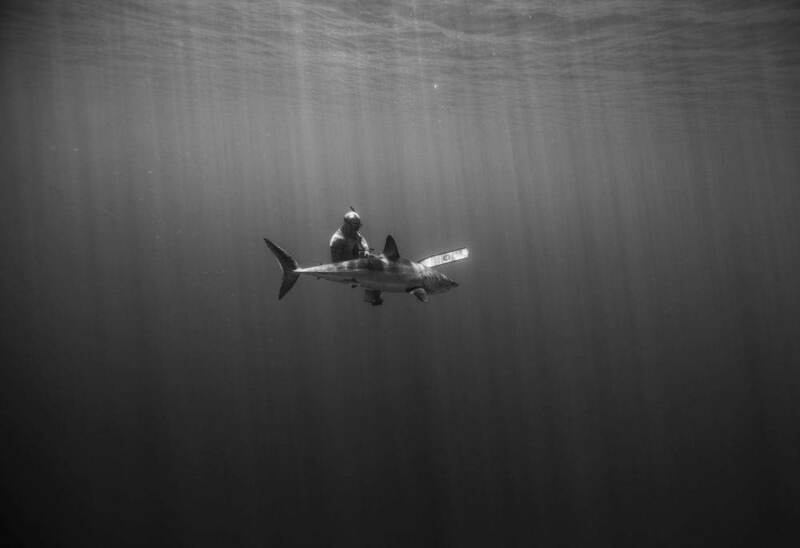 It’s weird but I’ve never really had an innate fear of sharks — more like a healthy respect — like most people so my first freedive with these creatures was never one filled with fear, it was pure adrenaline and enchantment. 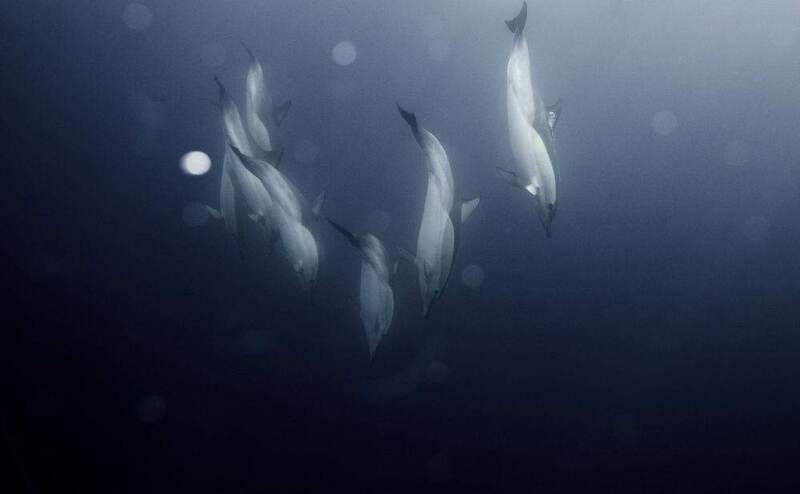 And that’s what I hope to portray in my photography of them because that’s the feelings they have instilled in me, and if this is passed on and someone is convinced to love (and therefore want to protect) the ocean as much as we do, then I’m doing my job right. What do you never leave home without when you’re heading out to make photographs? Coffee. I really can’t function without it. Photography can be integral to educating people and raising awareness on environmental and conservation issues (I believe!) Would you agree and does this play a role in your work? Totally, and its the sole reason I’ve taken my camera into the water because if I can convince my audience to love — and therefore want to protect — the ocean as much as I do, then I’m doing my job right. The worst thing we can do when it comes to conservation is to assume that “someone else will do it” so I’d forever feel guilty if I didn’t put my storytelling ability to good use and tell the deeper (so to speak) stories. Are there any other stories you want your images to tell the viewer? I want my imagery to be wholly evocative, and for the viewer to be transported directly to that feeling and place. Which photograph is the favourite you’ve ever taken, and could you please tell us the story behind it? 1. “Simon Says” — This is one of those ‘pinch me’ moments. The shark fin lined up perfectly with the bird’s wing to make it look as though they were playing a game of Simon Says. I wanted to show a playful side of the shark world and this was the window of opportunity I got. Nature puts on some epic shows for us but we’re mostly so busy looking down (at our phones) that we miss a lot of it. Working with sharks is a task that you absolutely have to be present for. 2. This image was taken of Kelly Murphy, just before the sun went down on our first session filming Hinemoana. She’s such an inspiration for young women and when she surfs, it’s like she was born with a board on her feet. When I look at this I am reminded of the moment (the week) that I was living out my personal legend, so its one that hits home for me. 3. 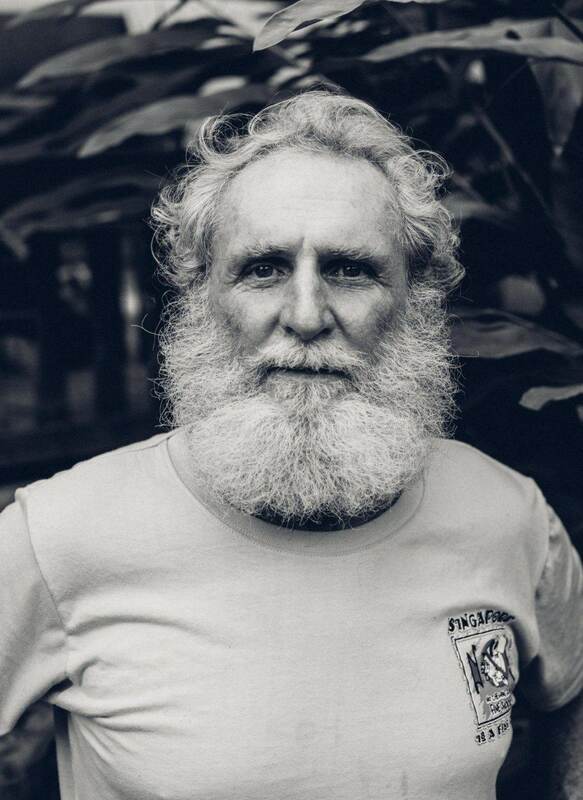 Mark Flint — Nias surf legend (actually, allround legend). I have never met anyone with salty tales quite like Marks’. He captained the ship which rescued hundreds of stranded villagers off the shoreline when the earthquake hit and then, with the resulting tsunamis took it upon himself to organise all the logistics of the aid work down the coast. He’s dealt with dodgy politicians, international fisheries and can also hold himself quite comfortably in a 12ft hollow Nias tube. I just love this photo because his eyes give away notes of the peril he’s been through — enough to make you curious. Who or what are some of your inspirations? And what keeps you motivated to keep creating? Woody G has always been a favourite surf photog of mine, also Ming Nomchong — I’ve girl crushed on her 70’s style since way back, Cristina Mittermeier & Paul Nicklen for all the advocacy they do, but most of all my partner Riley is forever pushing me to be the best version of myself and constantly inspiring me to do more for the creatures who don’t have a voice. I always find it interesting in that every photographer will give such different advice to younger people looking to get into the industry. What advice would you give your younger self? Don’t worry about what anyone else is doing. You do you. Never chase money or success — find what you love, become the best at it, and the money and success will follow. If you could photograph any person or any place, who or where would it be? I need to get to Central America asap. But also Tahiti. And you know what? I’d love nothing more than to explore the entire coastline of New Zealand in a van top to bottom — Most tourists have done it but as a local, you tend to forget how insane your own backyard is. As far as people go, I love photographing anyone with a bit of grit. I’ve just got my hands on a new lens that I’m hanging to shoot some portraiture on. What personal projects can we look forward to from you next, what are you enjoying exploring at the moment? Thank you for taking the time and sharing some of your experiences and knowledge with us Amber Jones, enjoy Paradise.